​Those ready to grade will be invited to do so with adjudicator Elaine O'Herlihy ADCRG. ​Currently renovating our new studio to open soon - can't wait! The of our seniors made the trip to Ennis to continue with further gradings - well done Ladies, passed with flying colours as always - Hannah, Gina & Niamh. 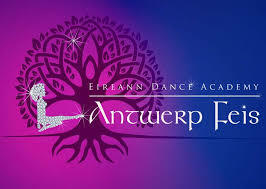 A year of travel - yay - first up the Antwerp Feis in Belgium. 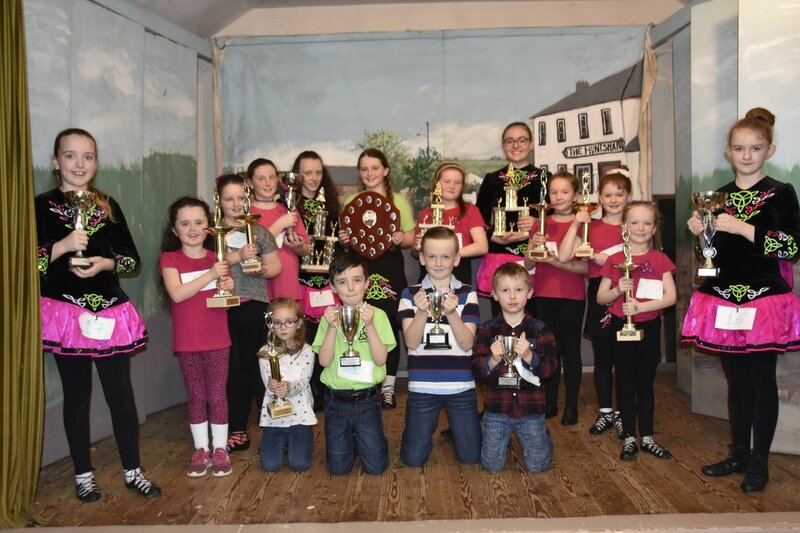 Taisce did us proud in a feis which was run very differently from home! The chocolate factory was definitely the highlight of the tour. Also highly recommend 'The irish Times' Irish bar in Grott Markt. Truly Irish with Barry's tea, Tayto, Bacon Fries, Irish stout and whiskeys.....! ​Well done ladies. 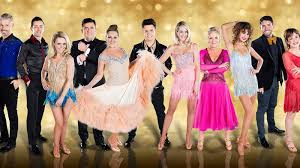 Unfortunately an injury cut short our High Cauled Cap, but what was danced was fab. See the video clips in our gallery page for the craic of the charity parent event - what an atmosphere! ​Well done all - a fab day of achievement as always under the watchful eye of senior adjudicator Michael Meehan ADCRG, TCRG. 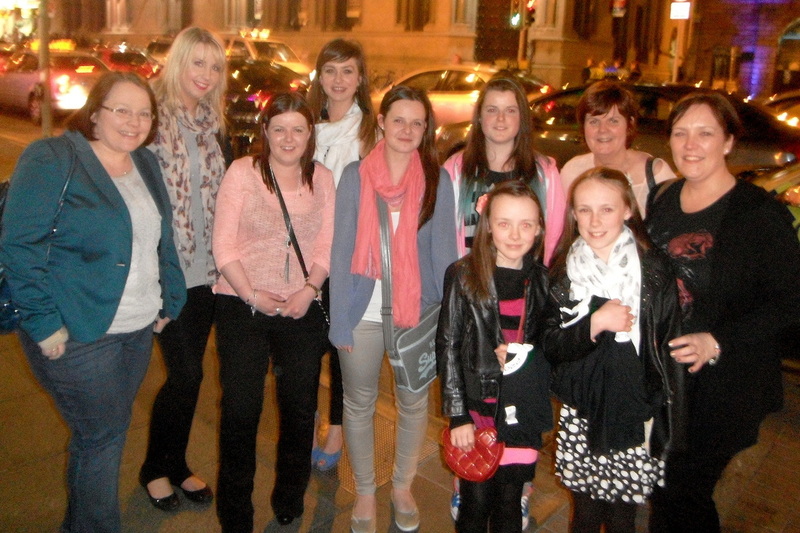 ​Thanks to our seniors Clare, Ruth & Daria and to our teens Taisce & Steph for a great night in UCC. ​Superb results as always with honours all around! Well done dancers. Many thanks to our judge Miah Walsh ADCRG who was very positive and friendly putting all dancers at ease. Check out our Summer Camp & TV pages for fun things to do this summer! Workshops February-April. Book your place now! Superb results as always - well done all. Sinéad has now completed all 12 of the grade exams! A long journey but well worth it. 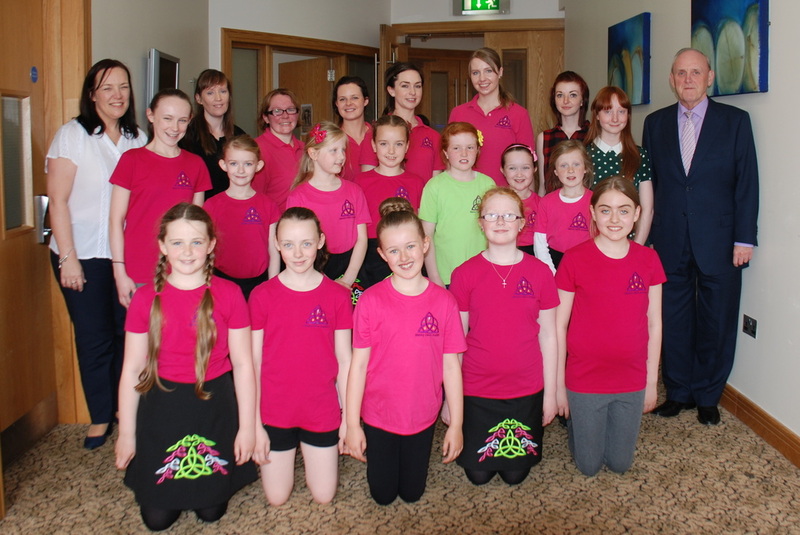 Many thanks to our judge Máire Mhic Aogáin ADCRG who was very thorough, respectful and fair to all dancers. 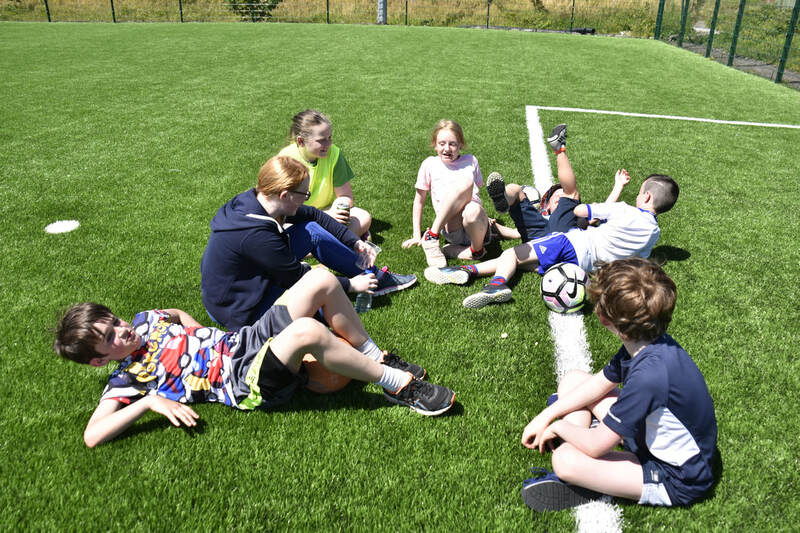 Reliving the simple pleasures of our Rome accommodation - we had a soccer/fun blitz on the Astro pitches in Inniscarra! Far from Rome but still a bit of craic! We received a very warm welcome from our then County Mayor Seamus McGrath. A special thanks for giving us such a special evening. Our dancers got to sit in the seats where all the action happens (meeting room for Councillors) and experience the views from a high! A special thank you to Edel Bodie for all your co-ordination and hard work, we really appreciated it. 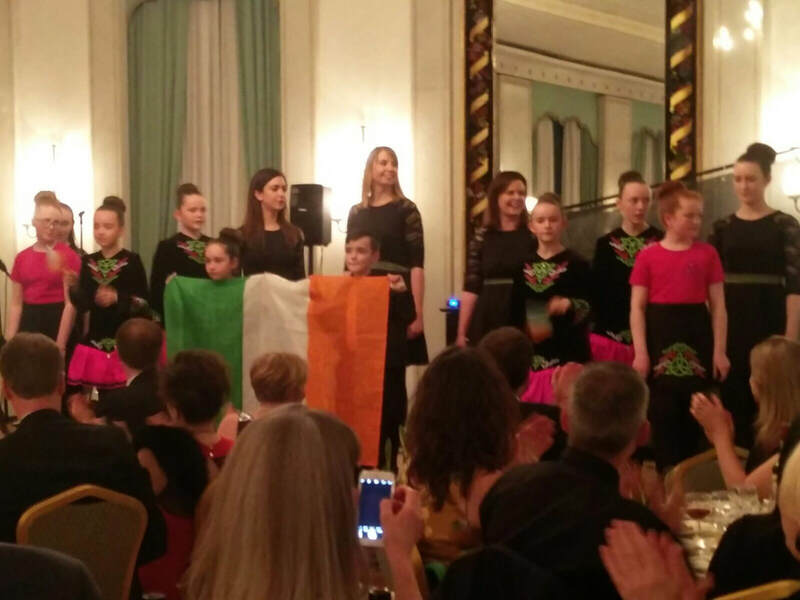 We performed for three functions at the Celtic Ball (Black Tie) in Hotel Quirinale & the Irish College in Rome Italy for St. Patrick's Week Celebrations. In attendance were Minister Charlie Flanagan, Vatican Ambassador Emma Madigan, Italian Ambassador Bobby McDonagh, Clergy from numerous orders, Irish and Italian guests,.... We also experienced the 'greening' of the Colosseum and were lucky enough to experience many of the delights Rome has to offer including the Papal Audience. Some even had the pleasure of meeting our former President Mary McAleese during their stay. Many thanks to our sponsors - please remember them when you are shopping! Celebrities matched with professional dancers for a dance off. Click here for info on tickets to the televised series. Click here for info on the Riverdance summerschool in Dublin & Boston and the Journey workshops in China. 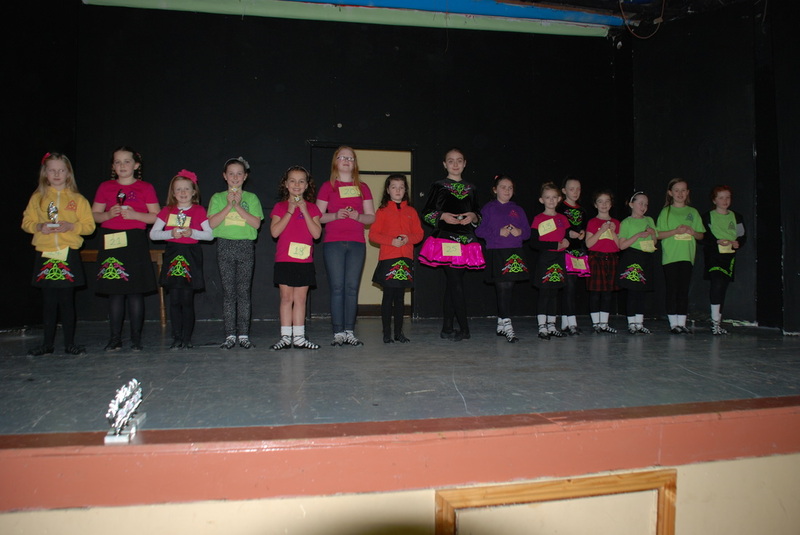 Very successful gradings taken in November with senior adjudicator Bernard Hynes ADCRG from Dublin. 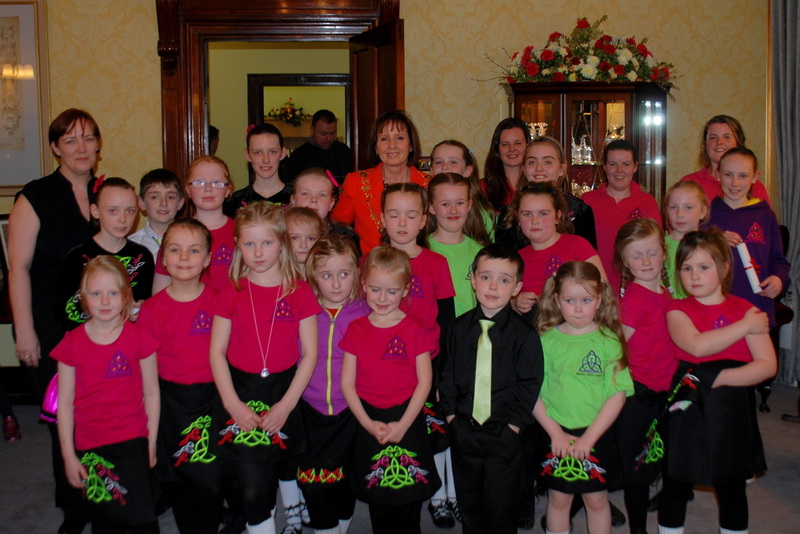 Held in our usual Blarney Resort Hotel, all dancers did us proud. New for this year we opened our gradings to other schools. 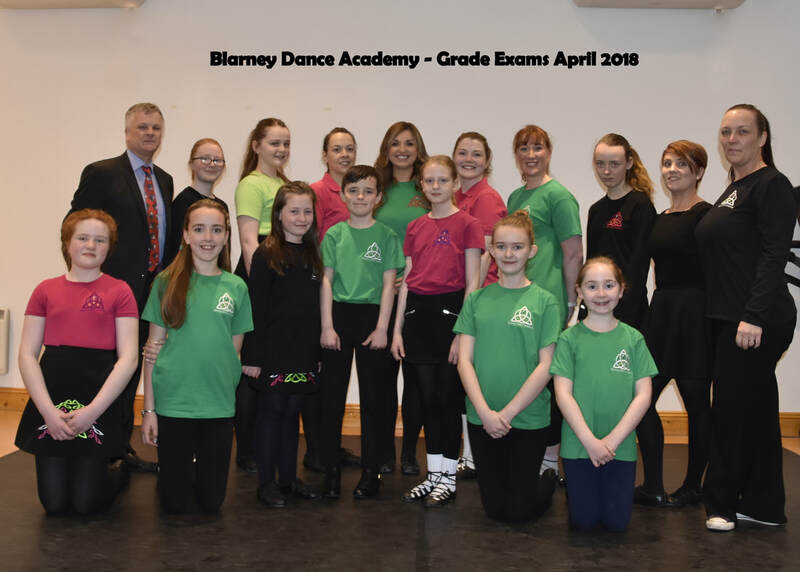 Delighted that we were joined by schools from Limerick, Waterford, Kerry & Clare including dancers from beginner level up to champion taking grades prelim to grade 11. Well done all ladies. You've done yourselves and your teachers proud. Do you want to dance in the sun!?! Male and female dancers wanted for CELTIC NIGHTS 2016, MALLORCA/IBIZA. Contract is from 01/05/16 until 31/10/16. Dancers must be available for the full duration of the contract. Return flights, great accommodation and the use of a car included. Message for details. Venue: Ballyanly Hall, Inniscarra Date: January 31st, 2015 Judge: Sinead Walsh. Danced as a kid? Miss the craic? 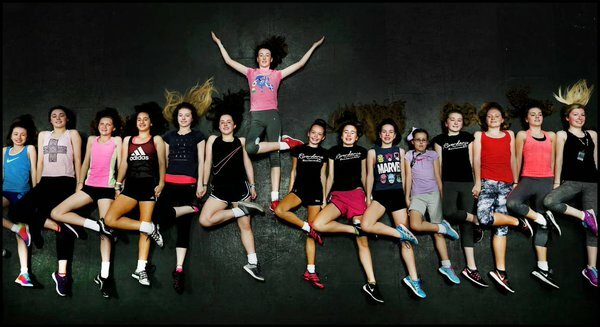 Want to try Irish dancing for fitness and fun or to a new career? 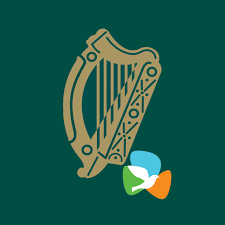 progress through the grades towards the final exams for TMRF (Céilí teacher) and/or TCRG (Step & figure dancing teacher) with the largest international and oldest Irish Dance Teachers Organisation - the CLRG (An Coimisiún). Contact us for details. Dancers prize - Heather. Congrats all and thank you for supporting our annual Travelfund raffle. Just one dedicated dancer travelled all the way to Galway for the grade exam and well worth the trip it was - super result Sinead, your hard work and dedication has certainly paid dividends. Check out TG4 - An Jig Gig. 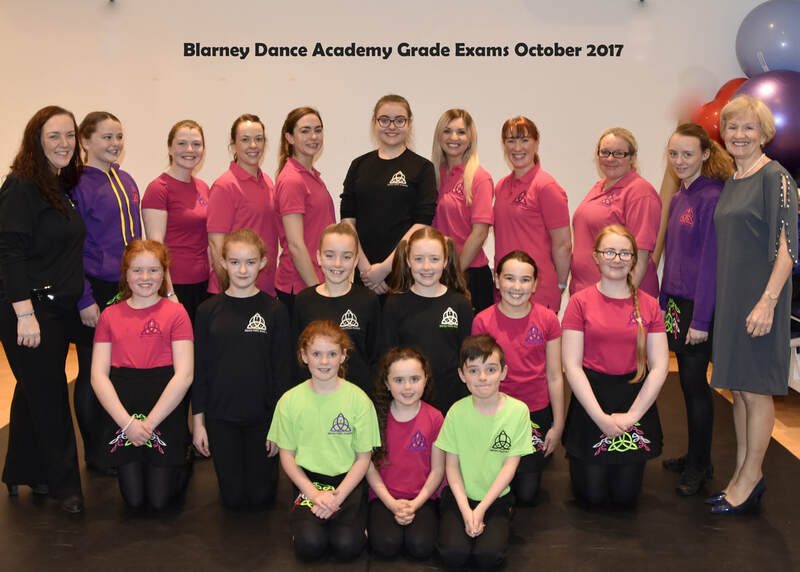 HANNAH DENNEHY SPONSORED BY BLARNEY DANCE ACADEMY. Hannah works as a music teacher at Midleton College. She also teaches SPHE and acts as YSI Guide for TYs. Education takes up a lot of this 27-year old’s time. She acts as co-ordinator for all school musical activities while also taking responsibility for student golf. In addition, she travelled to Kolkata in February as part of a Hope Foundation immersion project. The Ballyclough native is also about to enter her final year of an Education Masters in UCC. Her other interests include Irish dancing and sport. She is a keen supporter of Cork hurlers and footballers! #corkrose. 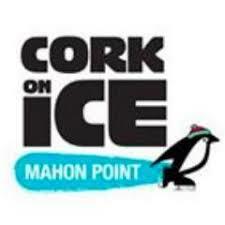 See the Cork Rose Facebook page for more pix on the Cork Rose Selection. Our talented dancer of course was the most beautiful bride. 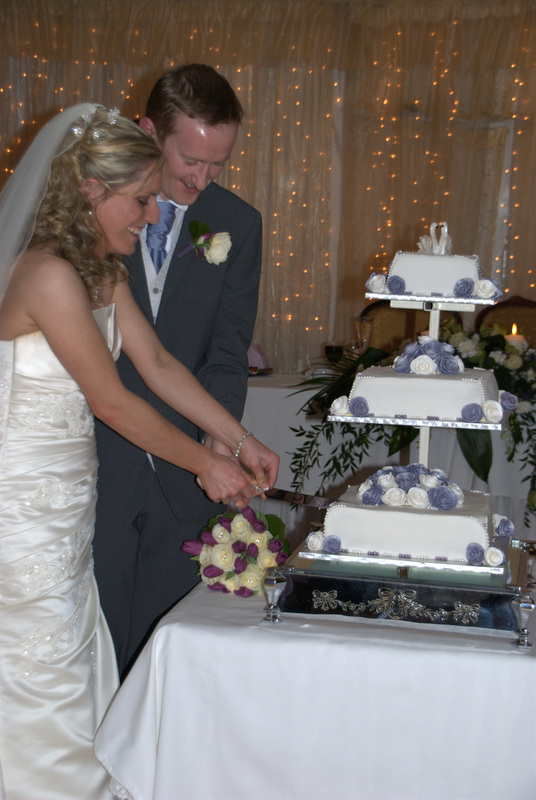 Congrats to Sinéad and Jolyon on your special day. Wishing you many years of happy healthy times ahead. 18 dancers took 22 grades between them and all honours including A plus! Absolutely fabulous results. Well done Sinéad, Christina, Hannah, Denise, Emma, Kelly, Shannon, Ana, Heather, Taisce, Isibéal, Eimear, Steph, Aoife, Leah, Adele, Dayna & Abbie. 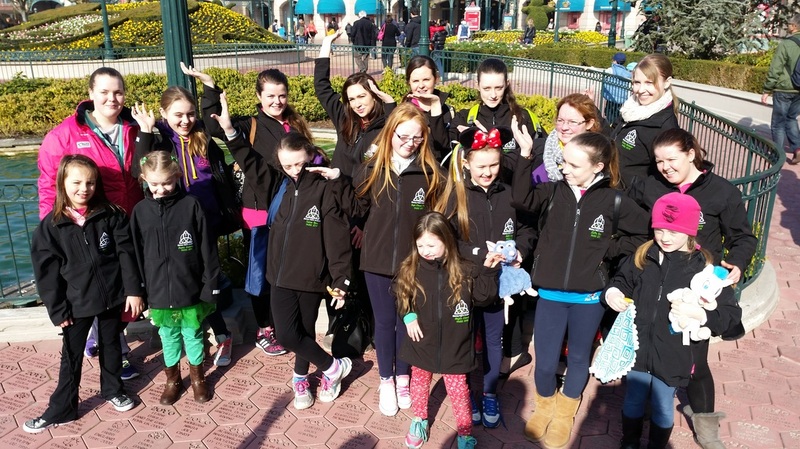 Based in Disneyland Paris from March 13th to 18th 2015 we brought a little Paddy's day spirit to Paris for the week. We performed at the Centre Culturel Irlandais with the Dusty Feet Céilí Band to a sell out crowd. 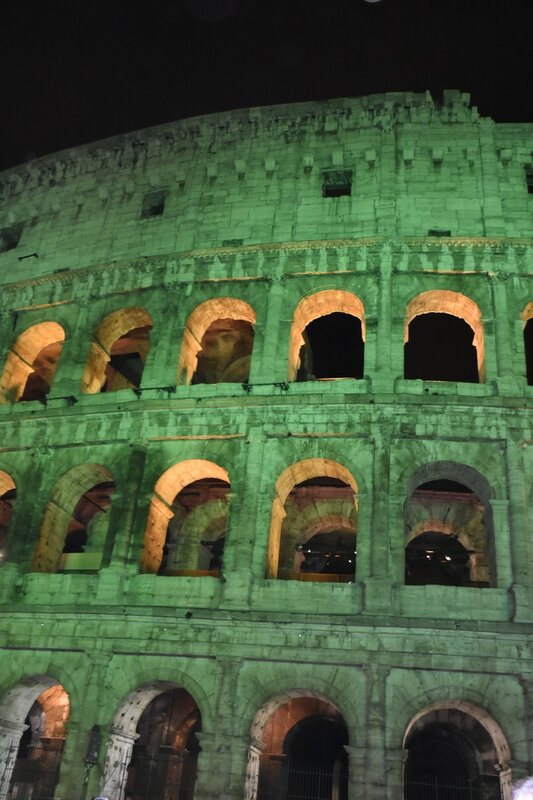 We supported the Irish Embassy, Tourism Ireland and Minister Richard Bruton TD as he turned the lights on the Basilica de Sacré-Coeur green for St. Patrick's celebrations. Performance including the Walls of Limerick with the Minister - fair play to him. A private workshop with Disney Choreographer Kylie and a Celebration meal with the Disney Characters in Café Mickey, Downtown Disney Village, Disneyland Paris topped off the events as well as many more fun times and experiences. Three dancers took four grades between them and all honours - great results. Well done Sinéad, Emma & Deirdre. Dancers prize - Dayna. Congrats all and thank you for supporting our annual Travelfund raffle. Off to college - good luck Ladies. Good luck to Kelly & Elena. Kelly is studying the BA in Irish Traditional Music & Dance in UL & Elena is studying a BA Culinary Arts in Tralee IT. Well done ladies. Delighted for you both. 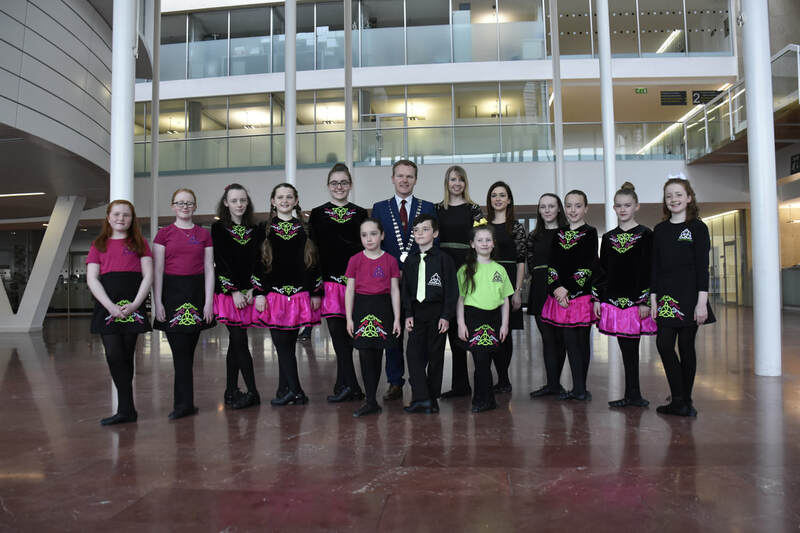 Many thanks to the Lord Mayor of Cork Catherine Clancy and her staff who gave our dancers a wonderful evening which will be lasting memories for many years to come including receiving their certificates from their dance grade exams. As worn by Síofra in the Munster Championships in Killarney. Congrats all and thank you for supporting our raffle. 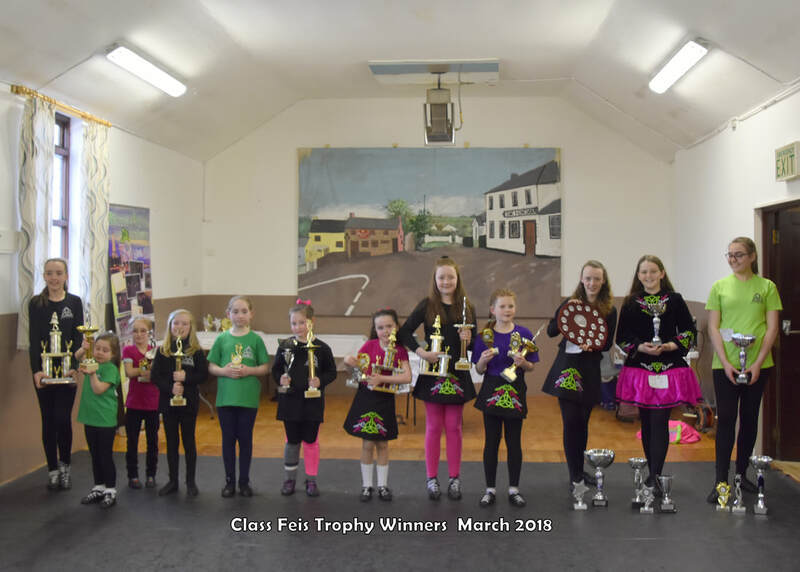 During the one weekend in November, Síofra not only took part in her first Munster Championships for Irish dancing in Killarney (CLRG) but also in the National Karate Championships in Dublin. 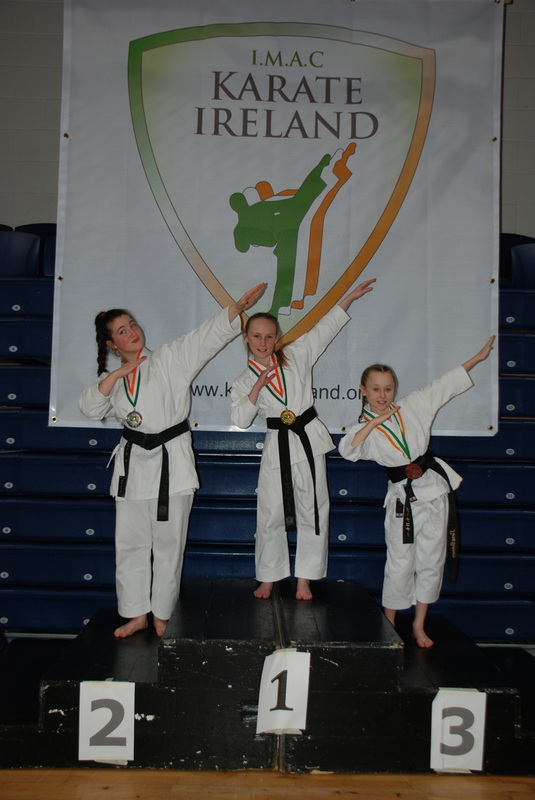 Well done Síofra - she is now the reigning Black Belt Girls 13-14 yrs Kata National Champion. A title to add to her other achievements of 5th seed in the Europe [European Karate Championships in Sheffield in October 2013 (came 4th after a joint 3rd) and] 8th seed in the World [WUKF World Karate Championships]. She also finds time to play piano and hockey as well as school of course - she's a first year student in Mount Mercy College, Cork. New show by Prodijig - winners of the TV Show 'Got to Dance'. Lead dancer/Choreographer - Alan Kennefick from Cork.